All of us love to gather with friends and family to remember wonderful moments we have spent together, and to view the photos. Some years back the only way to do it was passing around printed pictures or a photo album. Today digital technology offers a more convenient and exciting way to view your photographs. Why not make a video with pictures and music and watch it on a DVD or upload it to the Internet to share with all of your friends? Such a video is also a perfect gift for various events. There are infinite subjects for a video made of photographs. You can show your holiday pictures, tell a love story, celebrate life’s special events, chronicle the history of your family, create a personalized greeting card, and realize plenty of other fascinating projects. 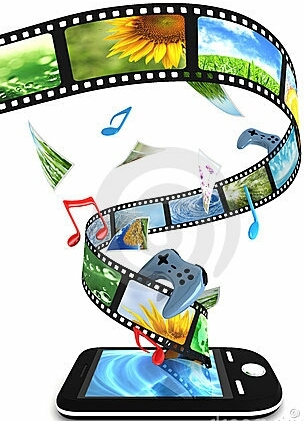 All you need to make a video with pictures and music is photo slideshow software. With it, even an amateur photographer can create a stunning video with spectacular transition effects and soundtracks. Making a slideshow combines a technical and a creative component. But with a carefully designed project, the audience shouldn’t even think of the former. Here are some vital points to consider when you make a video with pictures and music. Choosing the pictures that you would like to use for your video, make sure they are good quality. Low-resolution shots can look horrible when they are converted for being displayed in a slideshow, especially if you are going to burn a DVD and watch it on the TV screen. You can choose to add one or several soundtracks to your video. These may be songs or instrumental pieces that add to the general mood. Sometimes an impressive effect is created by using slow and fast-paced music tracks interchangeably. Another idea is recording personalized messages with your own voice and inserting these sound files in a video that is to pay tribute to someone special, e.g. in a birthday video slideshow. People enjoy viewing photos, particularly when they’re in them. However, natural laws make it hard to stay focused on the presentation for more than 10-15 minutes. So, decide on a reasonable number of soundtracks you insert in the video, and calculate the approximate slide display time, i.e. for how many seconds each picture will be shown. If you lack a couple of photos to go with your soundtrack, including slides with text messages or pictures related to your topic will solve this problem. A good photo video converter will offer you hundreds of special effects to accompany the slides replacing one another. Don’t overuse the transition effects - it will distract your audience. Choose a couple that fit well with your subject. Use a different effect for the slides that need special emphasis. These are some crucial points to remember when you make a video with pictures and music..